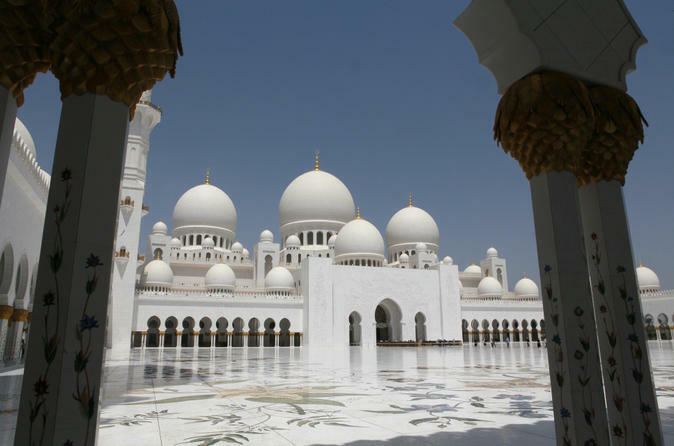 The United Arab Emirates means united in many fascinating aspects including heritage, culture and modernity. To experience that in detail, an ideal option is a day tour to Abu Dhabi, the state capital as well as largest emirate in the UAE. If Dubai is throbbing all along with ultra-modernity, here you will find a pleasing combination of heritage, elegance and modernity. Take a 4x4 adventure across the sands on an afternoon and evening safari, where you’ll catch a spectacular desert sunset and enjoy dinner around a campfire. 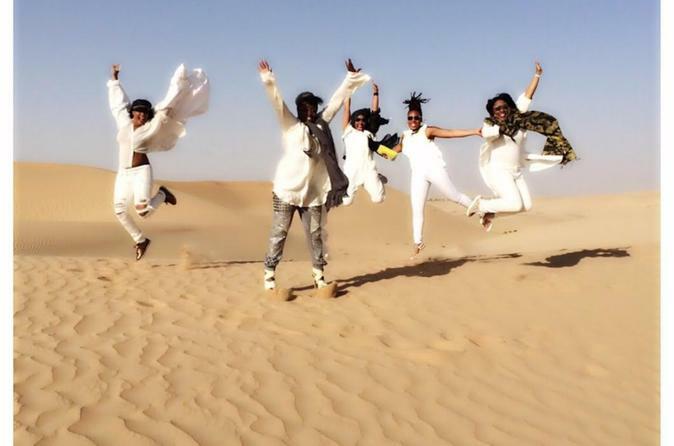 Along the way, go on a camel ride, experience the adrenaline of sandboarding and get a henna tattoo. A barbecue dinner and belly dancing complete your evening under Abu Dhabi’s desert stars. 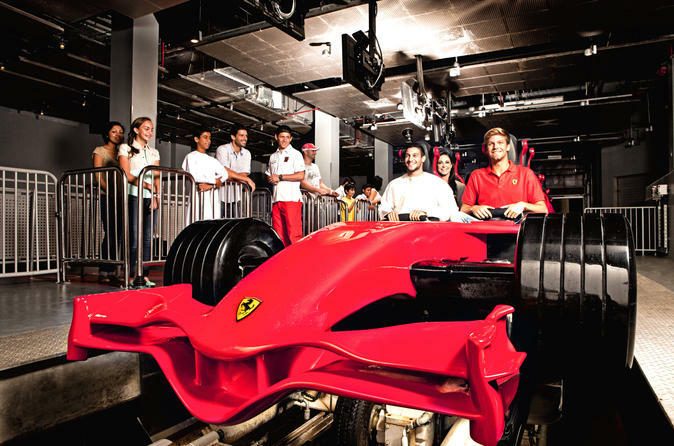 Explore a world of Ferrari-themed entertainments for all the family with this entrance ticket to Ferrari World in Abu Dhabi. Head inside this vast complex — the world’s biggest indoor theme park — and enjoy 20 attractions, including the planet’s fastest coaster. Try high-speed race simulators, experience a virtual Ferrari factory, enjoy family-friendly rides, let the kids loose on junior race tracks, and relax at the restaurants and stores. Combine two United Arab Emirates Big Bus hop-on hop-off tours on this exciting Super Saver, and enjoy 24 hours of sightseeing in Dubai followed by 24 consecutive hours of sightseeing in Abu Dhabi! 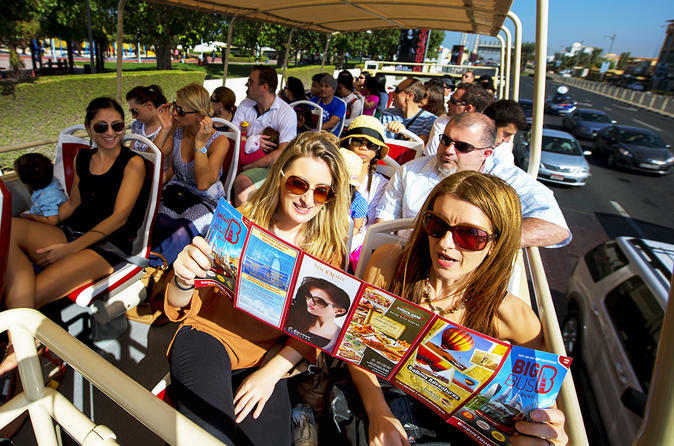 Ride around each city by open-top, double-decker bus and look out for top UAE attractions such as Burj Khalifa and Abu Dhabi Corniche. Hop on and off as many times as you like on a choice of routes, and enjoy a range of additional benefits including a round-trip shuttle service between the two cities, a Dubai walking tour, entrance to Abu Dhabi’s Sky Tower and more! 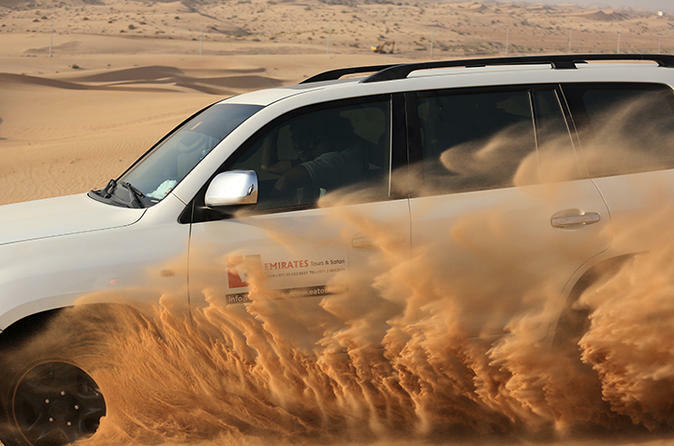 Have an Abu Dhabi desert adventure and make your evening unforgettable. Coursing through the majestic slopes of sand dunes under the wide expanse of an infinite spanning blue sky and the elegant sun painting the pious white clouds in an eloquent blend of orange, pink and violet, the evening desert safari of Abu Dhabi delights and entrances all visitors to the fullest. 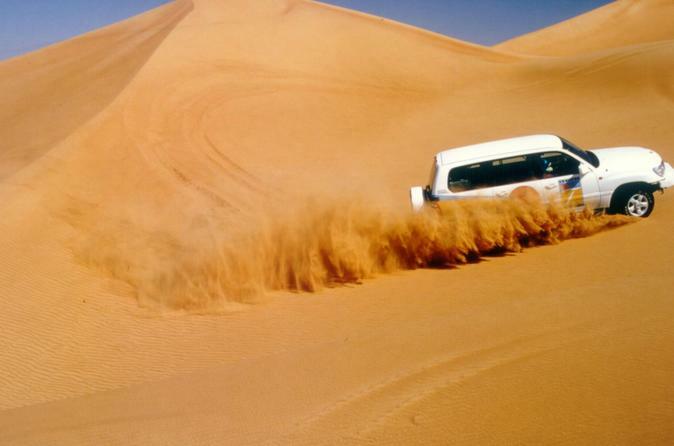 Enjoy dune bashing, visiting a camel farm, sand skiing and more through this amazing evening desert safari that offers the right amounts of adventure, food and beauty. Delve into Al Ain oasis on a full-day tour from Abu Dhabi. Aboard an air-conditioned coach, travel to the picturesque setting, which is backed by the Hajar Mountains and dubbed the UAE’s “Garden City.” Explore Al Ain National Museum and Sheikh Zayed Palace Museum; discover the traditional “falaj” water channels; and drive up Jebel Hafeet mountain for spectacular views. Visit a food market, camel racetrack and mountain springs, and finish with a buffet lunch at a 4-star hotel. 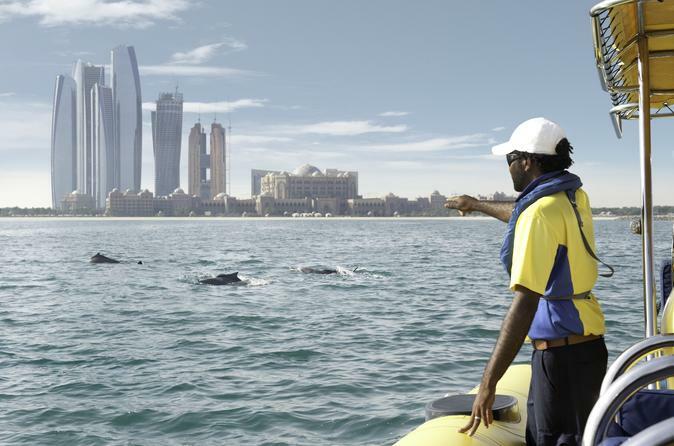 Cruise through the waters of the Persian Gulf on this 1-hour RIB (rigid-inflatable boat) cruise along the Abu Dhabi coast. Climb into your bright yellow powerboat with an experienced skipper at the wheel and hit the open water. Snap panoramic views of the city’s futuristic skyscrapers along the Corniche, cruise around Lulu Island, and admire the Emirates Palace and Heritage Village. Enjoy the sea spray and coastal breezes, and watch for dolphins in the Gulf as you go. 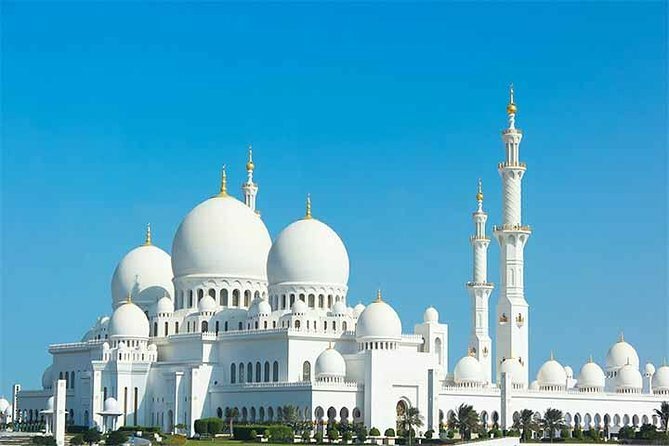 Visit two of Abu Dhabi’s star attractions – Sheikh Zayed Bin Sultan Al-Nahyan Mosque and the Falcon Hospital – on a full day tour of Abu Dhabi. With a friendly local guide, explore one of the world’s largest mosques while learning all about the late Sheikh Zayed who commissioned the building. See city sights like the Emirates Palace Hotel from the comfort of an air-conditioned coach, and then spend your afternoon enjoying a tour and falconry display at Abu Dhabi Falcon Hospital – a sanctuary for the national bird.